The brunette with sparkling blue eyes beneath long eyelashes could pass for any American exchange student. Dressed in a simple khaki shirt, blue jeans and a spiky bronze necklace, she is stuck in the Shanghai traffic, running late for her video shoot with the Global Times Metro Shanghai. What sets this young lady, Vicky, apart from other expats in this city, however, is the person sitting next to her - a tall, handsome man in a crisp white shirt, speaking with a deep, confident voice. It's her long-term boyfriend, a Chinese national. Chinese men dating or married to foreign women are still a rather rare form of interracial love. When they walk down the streets holding hands, they can literally feel people staring at them and whispering to each other, or even pointing fingers. However, the opposite - a foreign male with a Chinese wife or, even more likely, multiple local girlfriends - has become common to the point of cliché. 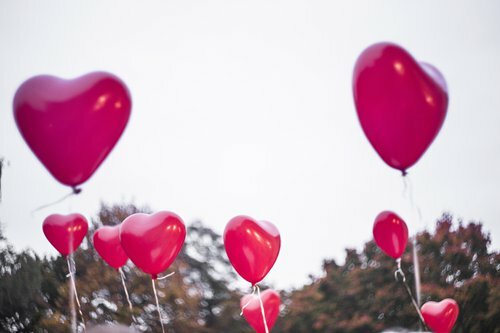 It is estimated that approximately 4 percent of all annual marriages in China were intercultural, according to the country's statistical yearbook. This number has more than doubled between the 1990s and 2016. However, a study by author James Farrer conducted in Shanghai in 2008 showed that over 90 percent of China's intercultural marriages were between a Chinese woman and a foreign man. The reasons for this massive imbalance are quite complex. Intercultural couplehood is where social constructions of power relations by the categories of race, gender and culture play a very prominent role. Stereotypes saying that Asian men are effeminate, weak or "modestly hung" could likely be the result of these social constructions. It tends to lead to the conclusion that Western women generally find Asian men unattractive. However, with the emergence of the Internet, Western women who enjoy dating Chinese men have come together as a community, called Asian Male Western Female (AMWF) and Western Women Asian Men (WWAM). 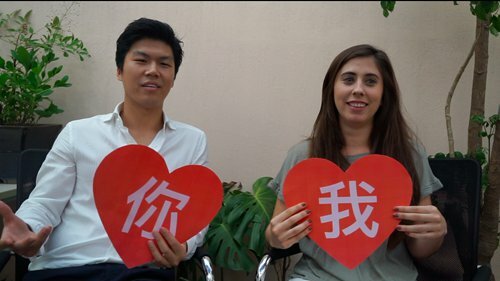 American Jocelyn Eikenburg, founder of the popular Speaking of China blog has played a key role in the integration of the global WWAM community. "Why don't Western women date Asian men?" one of Eikenburg's articles featured in the Huffington Post, wisely invited women to look at the vast ethnic and cultural diversity of Chinese men instead of writing them all off per se as a single, homogenized race. But in China, a small cult following of those fascinated by foreign women who become romantic with Chinese men existed long before AMWF became a thing on the Internet. Several Chinese mainland TV shows, for instance, were dedicated to the theme. Foreign Babes in Beijing starring Rachel DeWoskin (later made into a bestselling memoir) and, in 2011, The Foreign Wife in Our Village, portrayed romances between Caucasian women and Chinese men. Chinese media displaying an overly positive image of intermarriage is of course not very surprising. Attitudes toward mixed couples in China have been deemed socially appropriate since the 1990s, according to a study by Finnish scholars Fred Dervin and Minghui Gao. Celebrity Liu Ye, a famous Chinese actor, is married to a French woman, with whom he has two children. His intercultural love and family life has attracted over 50 million followers on his Weibo account. But the real darling of netizens is Liu's son, with whom he participated in the popular TV show Where Are We Going, Dad?. 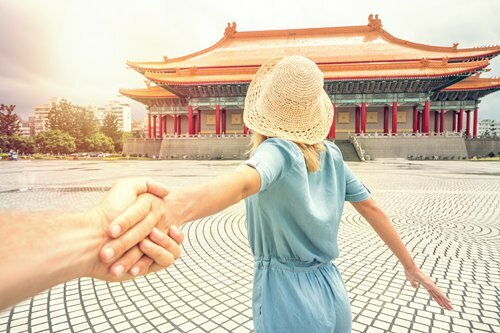 With an increasing number of international students and workers coming to China, along with record-breaking numbers of Chinese now studying abroad, many Chinese men are inevitably falling in love with Western women, and vice versa. This is exactly what happened to Vicky and Shen Da five years ago. They met in college in New York, where Shen "stood out" because there were literally no Asians in the Texas town she grew up in. Even though Shen had already spent four years in San Francisco, all his friends in the US were Chinese, so his English still wasn't at a level to be able to adequately express his feelings for Vicky. Thus, Vicky was compelled to make the first move. The couple are now living together in Shanghai, Shen working for his family business and Vicky studying Chinese. "She can already speak to my family for an hour and a half," Shen said proudly. "They also asked her to cook Chinese food for me," he said. "That hasn't happened yet," Vicky retorted, smilingly. Apart from language barriers and cultural differences, the troubles they face as a couple are pretty similar to any cohabiting man and woman in the world: Vicky snores during the night and Shen has a hard time apologizing after a fight. 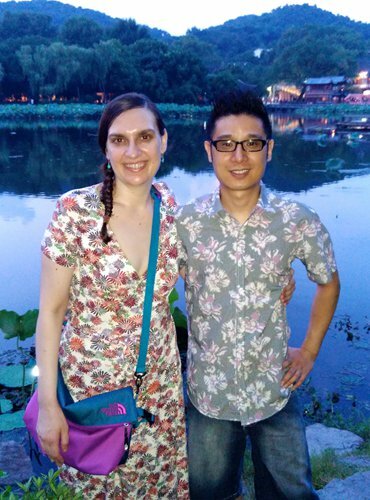 Another AMWF couple, who also studied together in the US, recently stirred up some buzz on social media for openly disclosing anti-Chinese and Japanese nationalist publications found in a Japanese hotel chain. 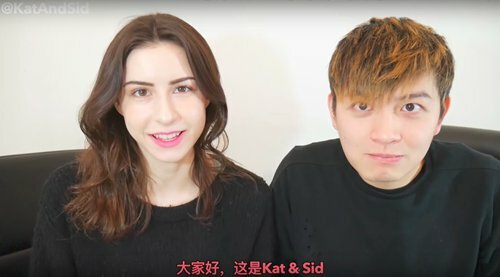 Kat and Sid, as the couple-vloggers call themselves, found 1.5 million fans on Weibo in a matter of weeks after they started a YouTube channel together. In their videos, Kat reacts to popular Chinese TV shows, speaks Putonghua and tries to cook tomato and eggs (a popular Chinese dish) for Sid. The popularity of this sort of WWAM content on the Web provides a platform for identification and gives Western women who date Asian men newfound confidence. Blogger Lena Elsborg (alias Lingling) is a very lively example of it. 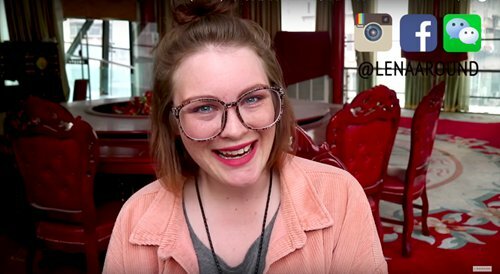 The Danish national, who resides in Beijing, informs her viewers about the many advantages of dating Chinese men on her popular YouTube channel. According to her, apart from learning more about Chinese culture and language, another benefit of having a Chinese boyfriend is that they will "definitely carry your bag and immediately text you back." "Chinese men will care about their girlfriend's well-being a lot," she added. "Sometimes, however, it's a little bit too much." For instance, constantly buying her presents or treating her to a vacation at a high-end hotel. Another plus, she said, is that Chinese men like to go shopping with their girlfriends. "Also, they are not afraid of marriage," she hastened to add. In the future, the fact that Vicky likes Shen Da may be nothing worth reporting on; it'll become just another fairy tale love story.